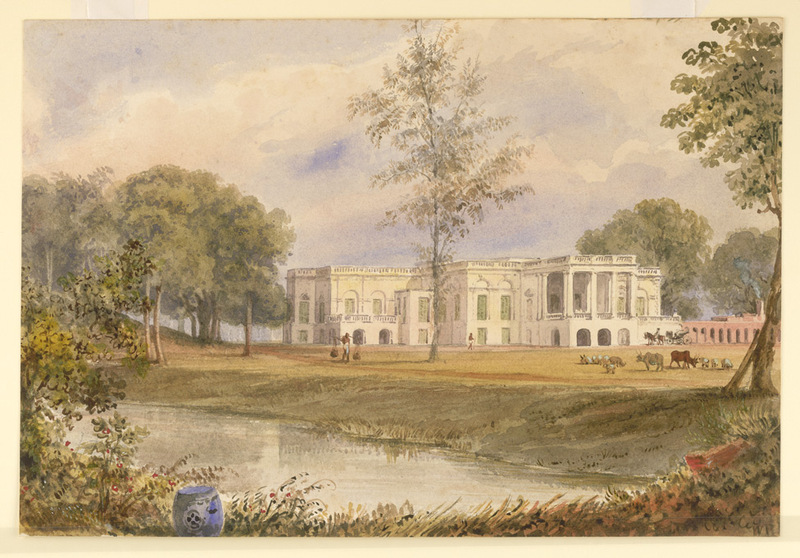 Watercolour of Belvedere House in Alipur near Calcutta by William Prinsep (1794-1874) dated c.1838. The watercolour is signed 'W.P.' and inscribed on the original mount: 'Belvedere House at Alipore, WP'. Charles Robert Prinsep was living at Belvedere in 1838 when this drawing was probably made. The Prinsep family bought the house in 1841 and sold it to the East India Company in 1854. It was then used as the official residence of the Lieutenant-Governors of Bengal and subsequently became the National Library.